Imagine posting a song on Soundcloud and waking up one day to find that it blew up, accumulating over thousands of plays and reposts. Three years ago, that is exactly what happened to 19-year-old Ethan Snoreck, better known by his stage name Whethan. Since then, the song has now garnered over 11.2 million plays, and the genre-defying artist has traveled the world playing his eclectic music for his loyal fanbase. Not only is the “Good Nights” artist famous for remixing songs like Opia’s “Falling” and Elohim’s “Sensations”, he has also collaborated with artists all across the genre board—from HONNE on his recent single “Radar”, to Dua Lipa for a song on the Fifty Shades Freed soundtrack. Most recently, the young prodigy kicked off his Life of a Wallflower tour in San Marcos Texas on September 13, and will be finishing it with stops across California in cities like Los Angeles, San Francisco, and Santa Cruz. I caught up with the breakfast-loving rising star at his stop in Madison, Wisconsin, at the just-opened venue, The Sylvee. 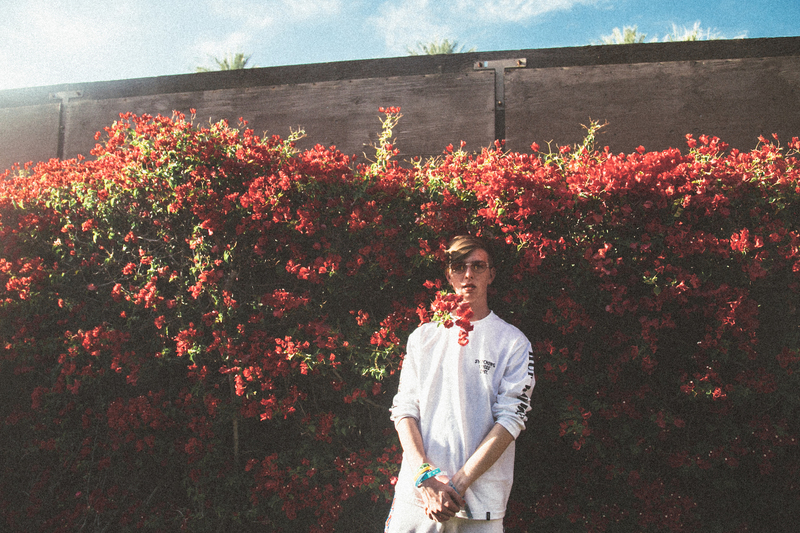 Whethan talked to me about collaborations, moving out to LA, and what’s coming next after the tour. Check out the exclusive interview below and make sure to track Whethan on Bandsintown to catch his dynamic show in your city! So you’re from Chicago- what was it like to go back to the Canopy Club a few nights ago and completely sell out the show in your own hometown? It was amazing, that’s actually where I played my first set ever. I opened up for Louis The Child like two years ago. It’s a nice spot. It’s technically not in Chicago, it was kind of like a southern Illinois thing, still a lot of friends from school and everything that I used to know who came through and had a good time. It’s one of my favorite venues to play, just because of it being the first spot. Do you feel a different kind of energy when you’re performing in big cities versus college towns like Madison? I like to look it at almost like every show is super different. You know, like, big or small, if people are there to have a good time and like feed off the energy and just react and just want to see some new music I’m down for it. Usually it’s dope across the board, I like both. What are some of your must-haves on the tour bus? Nowadays, really just croissants. That’s like the must, actually. Had to switch it up, I had too many waffles and I was like what’s the second best? Croissants (laughs). Going to Europe did that. Hmm, what else? Yerba Mate, those are like the energy teas. Yerbas are the key. Probably candy too. Just so much sugar. Starbursts, Skittles. And some toast. So, not only have you toured with Louis the Child, but you’re also really tight with them. Could you talk about what it’s like to work with some of your best friends? It’s really cool because we both kind of came from similar areas in Chicago—not the exact same—pretty close, but it’s dope to meet them so young and both be young and be able to connect on that level and basically have our lives centered around just making music. And it’s cool to share that with them and then also we both kind of moved to LA recently so it’s kind of a fun jump from Chicago to LA and now we’re just doing that, like living down the street from each other and making music all the time. Do you like living in LA or is it really different? I love it. Honestly I think I was meant for that. I mean I still am a midwest boy, but I just love the weather. And I love the vibes. My biggest dream would either be to collab with Daft Punk–That’s a big dream though. Tame Impala. Mac Demarco for sure too, I’m always trying to bring in totally different sounds. You’re only 19 and you’ve accomplished so much, What advice do you have for young artists who may be hesitant to follow their dreams? I would just say totally go for it. You know, there takes a moment where you’re either just kind of like: “I like doing this but i’m not really sure…” If you really want to do and you think “This is fun” because all that really matters is if it’s fun, you just gotta make that jump and just go for it because there was a time where I was like “I think I wanna stop doing like everything else, like I only want to do music.” So, if that’s how you feel, then just go for it. One of the unique things about your music is that it’s hard to confine to one genre—how would you describe your sound to someone who has never listened before? That’s hard. Because it’s true, I’m such a genre lover I just like love it all across the board and I produce so many different genres too so it’s like always kind of a question of like “Ooh is this this Whethan or is this someone else?” Like you never know but I think with Whethan music there’s always like very bright sounds like a lot of energy like something kind of dance-able and also a really good lyric. That’s always something I’m trying to look for is amazing song lyrics and great vocals. Because if you listen to the vocal by itself, whatever production you add to it is only going to elevate it. Your upcoming EP is called the “Life of a Wallflower”— by the way those videos you tweeted from Brooklyn are hilarious—Could you tell me a little about the inspiration behind this theme? I feel like was a word that I kind of came across on accident and was just kind of like “Whoa, I feel like that kind of describes me like kind of in a nutshell, and my vibe, with a little bit more energy because wallflower basically means, you know, you kind of keep to yourself you don’t really have anyone to come and dance with at the party or something you’re kind of isolated or something so I think kind of feeling that way is kind of interesting because I’m like a DJ and I play shows so to kind of be the guy on stage but kind of still be like “I’m kind of by myself up here” like it’s pretty interesting. So now I’m going to have you fill in the blank: I make music for people who _____. Like to dance. Like to vibe. If you weren’t making music, what do you think you’d be doing? That’s funny. I always think about that. I’m like “I wonder what I would be doing if I wasn’t doing this”. I was really good at hockey before I really got into music. I used to skateboard. So I feel like if I didn’t really—but it was weird I always just had like a bunch of hobbies like I would always get super obsessed with like one thing and just pursue that to the fullest I could and then if realized it wasn’t cool, onto the next. Probably hockey though. But I think I made the right choice. I know you’re a huge fan of breakfast—if you could create your perfect breakfast right here right now, what’s on your plate? And finally, what’s next for Whethan? Well, probably jumping straight into album mode right after the EP drops. Already trying to get those songs going. Just keep making new sounds.